Today we are discussing CONTOURING! Contouring has changed the makeup game within the last few years and it's momentum hasn't slowed. New to contouring? Need some refresher tips? 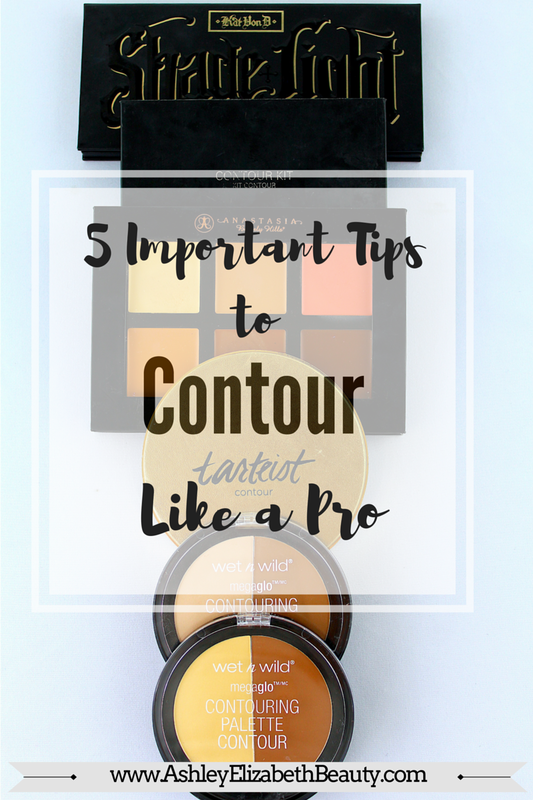 Here are my top five contouring basics that you need to know now. On a separate note, I am back again blogging with more enthusiasm than ever! I have felt so ready to get back to my normal schedule of posts, and I have plenty of ideas in the works. After traveling across the country, visiting places I never thought I would see in my lifetime, I am refreshed and ready to get back to blogging! Brandon and I have been in Portland approximately one month and we are absolutely loving it. Oregon is a gorgeous state and Portland has so many unique qualities as a city. It has already begun influencing new and fresh ideas I have for makeup, beauty and style. When first embarking on your contour journey, you will find that working with powders are much easier than working with creams. If you begin with creams you will find yourself frustrated (and possibly a looking little draq-queen-esque) because creams are much less forgiving than powders when you make a mistake. Powders are easy to apply and easy to blend. You can place a small amount of product onto the desired area of your face and lightly blend until it looks like a natural shadow. If you need additional product it is easy to add more and blend evenly. If you make a mistake, such as applying too much product in one area, simply use a dense brush to move the product and blend away. Once you have mastered the perfect powder contour, grab some cream contour and go for it! We have all had that moment when we finish our makeup and head outside, only to discover that different lighting has revealed a much less appealing makeup look. Often makeup will even look off in different indoor lighting, varying types of light bulbs, and different lighting designs. The best way to solve this problem is to practice contouring in different lighting. As you are applying your counting take a hand mirror and head to the window. See any splotches or areas that need to be blended more? This is the time to fix it and learn from your mistakes. Soon you will learn how much to apply and where to apply it to keep your contour appearing as natural as possible. One helpful addition is to make sure you are using a proper makeup application mirror and proper lighting. If you do not have a vanity with all-around lighting, consider investing in a medium or large lighted oval mirror, such as this one from Conair. You'll find that your indoor makeup application will start looking just as natural in the outdoor light. One of the biggest mistakes first-time contour-ists make is they do not blend enough, or blend in the wrong manner. They forget that powder is very movable and can easily be blended into foundation or other powders. Too little blending can have the opposite effect of what you are trying to accomplish with contouring, which is to diminish certain parts of the face while making other parts pop. For example, if you do not blend well enough in the hollows of your cheeks you will end up with a very dark, harsh line. This will do nothing to help you in making your cheekbones stand out and look more defined, which is the ultimate goal. Blend, blend, and blend. Think you're done blending? Go ahead and blend some more. Using the proper tools will also help in making sure your contour is properly blended. My favorite contouring tool is the Real Techniques Sculpting Brush. I use this to both apply and blend my contour in the hollows of my cheeks, temples, forehead, and jawline. The bristles are very densely packed, which makes it perfect for moving product and blending. 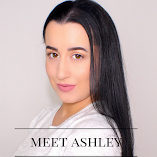 Contouring your face incorrectly for your face shape often has the opposite effect of what contouring is all about: it could possibly emphasize the parts of your face that you wish to minimize. A diamond shaped face should be contouring below the cheekbones and up to the temples; a heart shaped face along the forehead, below the cheekbones, and beneath the chin; an oval face on the sides of the forehead and below the cheekbones; a round face along the temples, sides of the forehead, below the cheekbones, and along the jawline; and a square shaped face along the top of the forehead, jawline, and below the cheekbones. My best advice: practice! You know your face shape better than anyone else. Everyone has different undertones to their skin, no matter the complexion; most fall into the categories of cool, warm or neutral undertones. Knowing the undertone of your skin type will not only help you choose the best contouring shade, but will also help you when choosing most other types of makeup products. Best of all is that it can prevent you from making many makeup mistakes and give your makeup a more natural appearance. 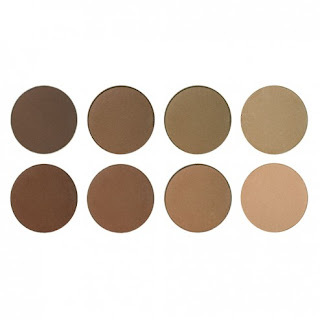 Makeup Geek has one of the most diverse ranges of contour tones that I have ever seen. They have eight different shades, four warm and four cool, all with varying tones from fair to deep. I have neutral undertones and love mixing Infidelity, a cool fair, and Bad Habit, a warm fair. Cool Undertones: if your skin is more likely to burn than tan, you most likely have a cool undertone. Another way to know if you have cool undertones is to check out the veins on your wrist, which would appear blue or purple beneath natural light. Warm Undertones: if your skin takes very well to tanning and usually tans a beautiful golden brown, you most likely have a warm undertone. Another way to know if you have warm undertones is to check out the veins on your wrist, which would appear slightly green beneath natural light. Neutral Undertones: if you have both pink and yellow hues within your complexion, you most likely have a neutral undertone, which is in the middle of cool and warm. Another way to know if you have neutral undertones is to check out the veins on your wrist, which would appear a mix of green and blue beneath natural light. Contouring takes time and practice to get just right. Utilizing these tips and tricks will help you figure out how to make contouring work for YOU. Soon you will be contouring on a daily basis and not thinking twice about it. What are your biggest challenges when it comes to contouring?